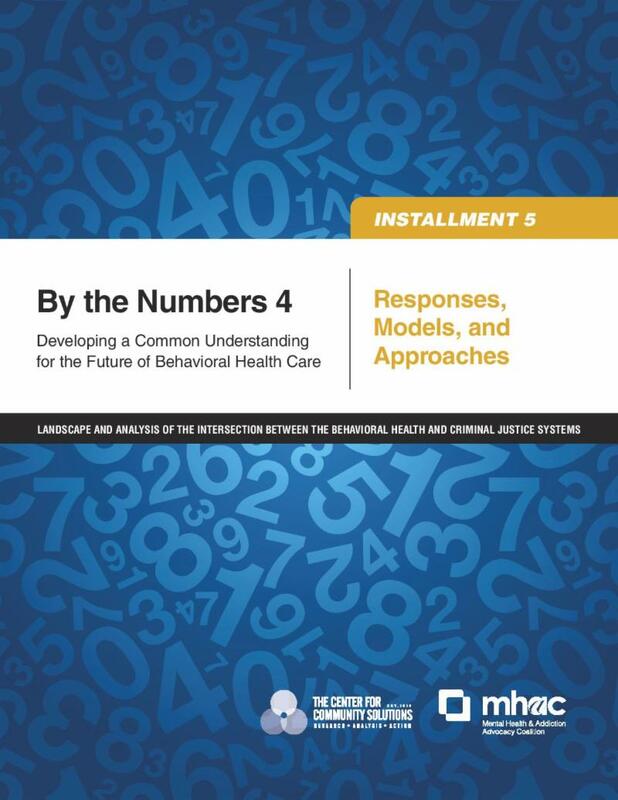 The Mental Health & Addiction Advocacy Coalition (MHAC, formerly Mental Health Advocacy Coalition) and The Center for Community Solutions (CCS) released their report By the Numbers: Developing a Common Understanding for the Future of Behavioral Health Care on Jan. 26, 2011. The MHAC and CCS undertook this project to collect, consolidate and disseminate data that shows the impact behavioral health disorders have across Ohio's systems and its communities. Our hope is that the data enclosed answers questions, raises new questions, and begins a discussion on how to improve the delivery of behavioral health care in Ohio. The recommendations on funding, policy and identified data needs and areas for future research are places to begin. While there is a considerable amount of data in this report, more needs to be collected to continue to move our State forward. This report is the beginning of the analysis and discussion, not the end.